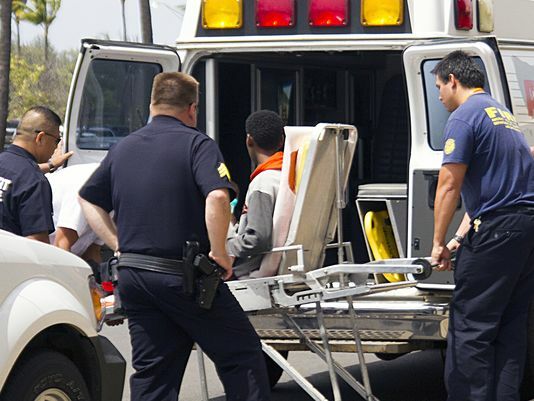 motivation | The Better Plan . .
A 15 year old boy is loaded into an ambulance at the Maui airport. 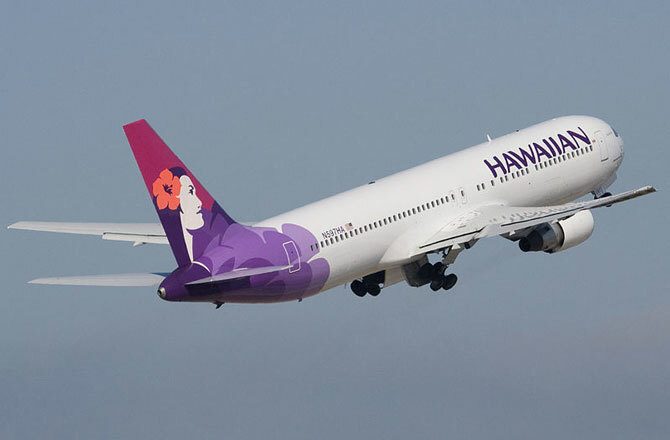 The remarkable story earlier this week of the young stowaway aboard a Hawaiian Airlines jet underscores the significance and power of the basic psychological needs. The wheel-well passenger, a fifteen year old boy from Somalia, climbed a security fence at the San Jose Airport, hoisted himself into a wheel-well of the closest parked jet, waited for seven hours as the plane readied for departure, tucked himself into the tiniest of spaces when the wheels lifted back into the fuselage, and then endured a five hour flight that included altitudes of over 36,000 feet and temperatures that approached 60 degrees below zero. 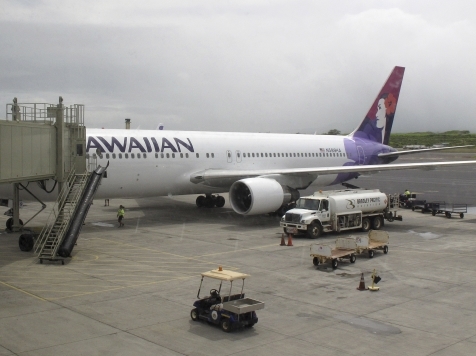 After arriving in Maui, Hawaii, an airport camera filmed legs dangling from the plane’s wheel well, which is almost 10 feet off of the pavement, and then witnessed the boy jump to the tarmac. In the days following the young man’s miraculous flight across the Pacific there has been much written about the implications of his stunt on airport security and about the science of surviving in a sustained environment with so little oxygen and such bitterly cold temperatures. Fewer people, though, are talking about, what for me is, the more important question – that being – What would lead a teenage boy to seriously break the law (climbing over the perimeter fence of an international airport) and then risk his life flying in the wheel well of a passenger jet? Why did he do it? Understanding choice theory and the concept of the basic needs, along with a few more details about our young traveler, will help us answer the important Why question. The young man immigrated from Somalia four years ago. He lived in the San Diego area for awhile, but more recently relocated to the San Jose area. He struggled in school, as he had not attended school at all before coming to the U.S., especially in Math and Science, and he apparently did not get along with his father and stepmother that well, as an argument between him and them was one of the reasons he climbed over that security fence at 1:00 am in the morning. He missed Somalia and his grandparents, who lived there. And he wanted to visit with his mother, who he had not seen since he was two years old. As you listen to the details of this harrowing misadventure, a picture of the basic needs* of this teenage boy begin to emerge. His need for love and belonging exerted a strong urge on him. He yearned to be with relatives that he felt loved him and cared about him, especially his mother, who he was separated from at a very young age. He did not feel, apparently, a strong sense of belonging here and he was motivated to find the human connection he needed. His need for power was also unmet and also urged him to make a change. He didn’t know English very well and he wasn’t very successful in school. The feedback he may have gotten from his father and stepmother may have contributed to his lack of worth and accomplishment. So powerful were these unmet psychological needs that it led him to risk his physical safety and overrule his basic need for survival. That he did survive made for a compelling news story this week, and gives us a human drama from which to consider choice theory. We just need to remember that, while their stories may not make news headlines, we may be surrounded by young people struggling to meet their basic needs. Somehow we need the x-ray emotional vision that my friend, Tom Amato, talks about, that ability to see a situation through another person’s eyes. Most people, upon hearing that a teenage boy climbed into the wheel well of a passenger jet and rode across the Pacific Ocean, would proclaim that the kid is nuts, a psych job. But when you consider the details through a choice theory lens you begin to see that his behavior was rational, thought out, risky, yes, and even ill planned, but his choice takes on meaning. May we see the potential stowaway in our own children, and in our students, and focus on creating a need-satisfying environment that will prevent such stunts. May our children and students especially know that they are loved. Those of you in the PUC area, we are having a Choice Theory Study Group this Sabbath afternoon, April 26, at 3:00 pm. Please note the later 3:00 pm start time. 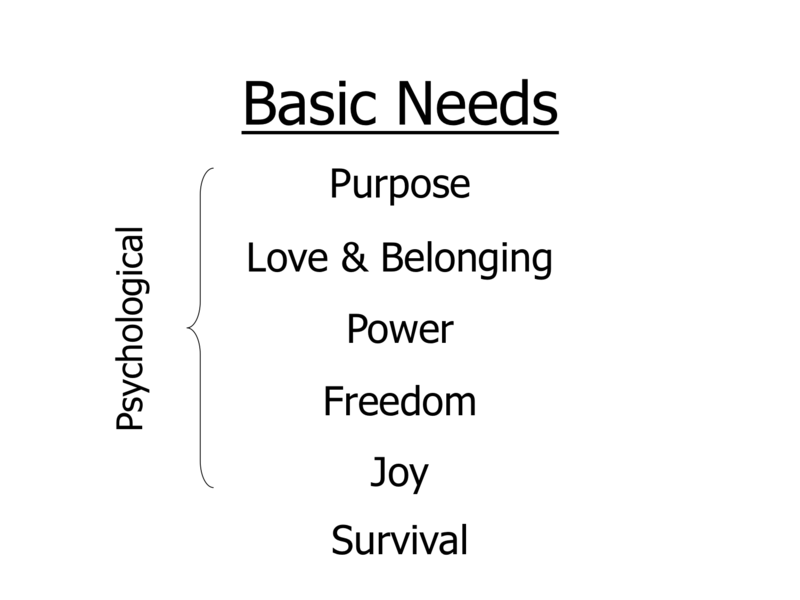 * I have added the need for purpose as one of the basic psychological needs. Glasser didn’t feel that it was a basic need, but he didn’t get worked up that I felt it was. 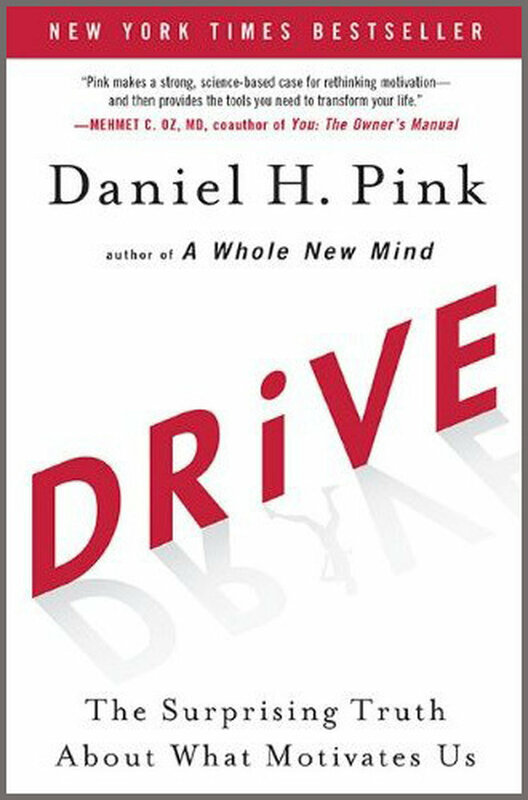 Drive (2009), Daniel Pink’s New York Times Bestseller, represents one of the reasons I was “driven” to write the Glasser biography. Drive is a well-written, captivating explanation of human motivation. Pink describes what he sees as a progression from Motivation 1.0 – motivation based purely on a biological drive for survival – to Motivation 2.0 – motivation based on extrinsic reward and punishment – to Motivation 3.0 – motivation based on intrinsic needs for autonomy, creativity, and achievement. Reading Pink’s insights and examples are like reviewing a What’s What list of research and a Who’s Who list of thought leaders and gurus in the fields of psychology, philosophy, and business over the last 50 years. Only problem is, even though the book covers the dawning of intrinsic motivation and the human need for freedom and self-determination, the influence and contributions of William Glasser are never mentioned. I read and re-read Drive with such intense mixed emotions. On the one hand I really appreciate the way Pink makes a case for choice theory, while on the other hand I am really frustrated, and even a bit angry, that choice theory or Glasser is totally left out of the book. Abraham Maslow is included; Deci and Ryan are included; and others like Csikszentmihalyi, Seligman, Herzberg, and Deming are mentioned, and a host of others, but not Glasser. How you can write a book about human motivation that summarizes the theories on the topic from the last 50 years and not include William Glasser is beyond me. Drive is not the only example of Glasser being left out or overlooked. In the course of my research for the Glasser biography I noticed a troubling trend of his work and ideas being less and less at the forefront and more and more slipping into the shadows. Even as the wave of internal control psychology grew bigger, affirming the personal power of choice, people seemed to forget the identity of one of the original wave creators. This felt unfair to me, and even unwise. Unfair because Glasser was one of the pillars on whom others built, and unwise because his message, and the behavior model he developed, is so helpful. Part of what has motivated me to write Glasser’s story is the hope that the biography will contribute toward establishing his legacy and his prominence as a progressive leader in the fields of mental health and education. I don’t want his ideas to ride off into the sunset. I want his ideas to be recognized as laying the foundation for today’s effective practices. In spite of Drive not referring to choice theory or Glasser, I still recommend you read it. Drive really is an excellent book and if you are into choice theory you will find that it adds to your understanding and expertise. Just be prepared to have mixed emotions as you go through it. Do you know friends who are into choice theory and who would benefit from these posts? Remember to let them know about thebetterplan.org. If you appreciate today’s blog, remember to click on the LIKE button at the end of the post. If you are on Facebook, you can share the post with your friends, too. I have an 8th grade boy who is quite bright all around. He has mild ADHD. Since I’ve had him in my classroom (this is the third year) he has been difficult to motivate to do school work. I’ve tried everything I can think of: Allowing him to choose the subject matter, choosing and designing his own projects, picking his partners, etc. The end result has often been that he just won’t do it. Sometimes he lies and says that he was really busy the night before, but when I ask his mother she says that they weren’t busy, and that he told her that he had finished his work. Other times he just says, “I didn’t do it.” During the student-led parent-teacher conferences he has said more than once that he would rather be playing video games or watching TV, or hanging out with his family instead of doing his work. Though he is bright, his grades don’t reflect it because he doesn’t produce very much work. It is very frustrating. I’ve tried to motivate him by finding out what he wants to be when he grows up, and telling him how what we are learning will help him become that. I’ve also showed him how not doing his work will be detrimental to his desire to do the job he wants to do. Sometimes that will motivate him a little, but his overall behavior hasn’t changed. I’ve also taught the students about how to study, take notes, keep a portfolio of work, how to have good study habits, when to study, where to study, etc. Again, nothing. So I need advice if you think you can help. People are so unique and I don’t want to sound like I have this figured out. Of the options that Mike has been offered (I’ll refer to him as Mike) he is finding his present behavior the most need-satisfying. Why he is choosing this behavior becomes our puzzle to lovingly consider. Several possible areas come to mind. 1) You are doing so many things right on Mike’s behalf. I can tell you are willing to do a great deal to help him. In a way, what you are doing for him is evidence that stimulus-response approaches don’t always work. If stimulus-response theory was true, given all of the right stimuli you are giving him, Mike would be tackling his schoolwork. But for reasons that are unique and important to him, he isn’t. This may sound counterintuitive, but pulling back, combined with developing compassionate boundaries, may be part of the answer. By pulling back I don’t mean giving him the silent treatment or being quietly disgusted at his lack of effort. I just mean conveying to him that you realize you can’t make him do his work, that you will continue to be open to suggestions on what will make the learning better for him, that you will give him feedback on how he is doing, including giving him grades on what he does or doesn’t do, but that it is up to him whether he does the work or not. Try to convey this to him in a warm, sincere tone. Let him know you believe in him and that you have been so caught up in wanting him to succeed that you may have missed something. Admit that you don’t know what it is that you have missed, but that you care about him and hope that he is ok. I would then let the situation go. When he misses an assignment, acknowledge it, but pull back from the normal teacher response. Begin to let him know that he is in the driver’s seat of his life. I don’t know what is or isn’t happening at home. Somehow his performance at school is tied to quality world pictures he has regarding home. You mentioned that he would rather be hanging out with his family. Does he get very much of that kind of time with the people that are most important to him? Are his parents still together? Divorced? During one of our interviews I did a word association activity with Glasser. I asked him to quickly respond to words that I would say. One of the words was motivate. He surprised me a bit when he said he wasn’t real fond of the word motivate or motivation. For him the word motivate had a tone of other control, like someone outside of you trying to make you do something. People with high power needs want to call their own shots and decide what needs to be done and when it needs to be done. They often don’t want or need other people motivating them to do things a certain way. People with high freedom needs are very sensitive to feeling pressured. They tend to shut down and drag their feet when they feel that others are trying to make them do something. I haven’t met Mike, but for some reason I have this sense that it might be more about freedom with him, than it is about power. In both cases—whether about power or freedom—your doing exactly the right thing, if the right things were ultimately about motivating him, may be unwittingly contributing to the problem. 2) Keep in mind the developmental needs of a middle school student. It is an essential, yet incredibly complicated, time of life. As he should be, Mike is beginning to separate from the significant adults in his life. He is becoming more aware of his I am-ness. More than ever he needs a sane adult to help him navigate territory that is new to him, to help him deal with thoughts and feelings that he very likely doesn’t know what to do with himself. Middle schoolers are so unique. One moment they are holding a parent’s hand at an event in which they may be scared or shy, the next moment they are acting like they don’t have parents. Her? I’ve never seen her before. Mixing the natural developmental needs I just described with the basic needs and quality world pictures mentioned above can definitely create a challenge. So few in the public have any idea how challenging a teacher’s life can be. 3) Another area that comes to mind is that of the teacher him/herself. As teachers we have a set of basic needs and unique quality world pictures, too. When a student isn’t responding to a lesson I’ve worked hard to create, that experience doesn’t match the quality world picture I have in my head and it doesn’t help me meet my need for power or success. This is natural and there is nothing wrong with that mental process. It is what it is. We just have to remember to be careful to not go into a mode where we are more focused on meeting our need for power than we are of helping students to meet their need for power. It is so easy to go into the BIRG mode. BIRG stands for Basking In Reflected Glory. In other words, when my student or child does well and others see his/her competence shining forth, I can bask in his/her reflected accomplishments. If he/she is doing well it must be because of my parenting or my teaching. It is easy for this way of thinking to become a part of us, but when it does it subtly begins to add elements of toxicity in our relationships. Kids are aware of this dynamic and don’t like it. Mike is fortunate to have you as his teacher. I want to encourage you as you guide and support him toward healthy independence. I would love to hear about how he is doing in the future. Stay in touch.